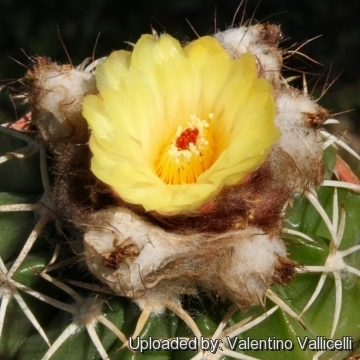 Description: Wigginsia vorwerkiana is the Colombian form of the wide ranging and very variable Parodia sellowii. The differences with other Parodia sellowii are in reality very minimal and most botanist agree on the fact that both should all be included in the Parodia sellowii, and the two plants are not readily distinguishable, if not for the geographical provenance. This species is a low growing cactus about 15 cm diameter starting out spiny then becoming more woolly. The stems are flattened globular and will bear several glossy yellow flowers around the very woolly stem apex in mid summer. One of the typical features of Wigginsia vorwerkiana, is the flower which is significantly smaller than most other Wigginsia (mostly about 2.5-3 cm in diameter), except only the closely related and small-flowered Wigginsia sessiflora. Cultivation and Propagation: Parodia sellowii var. 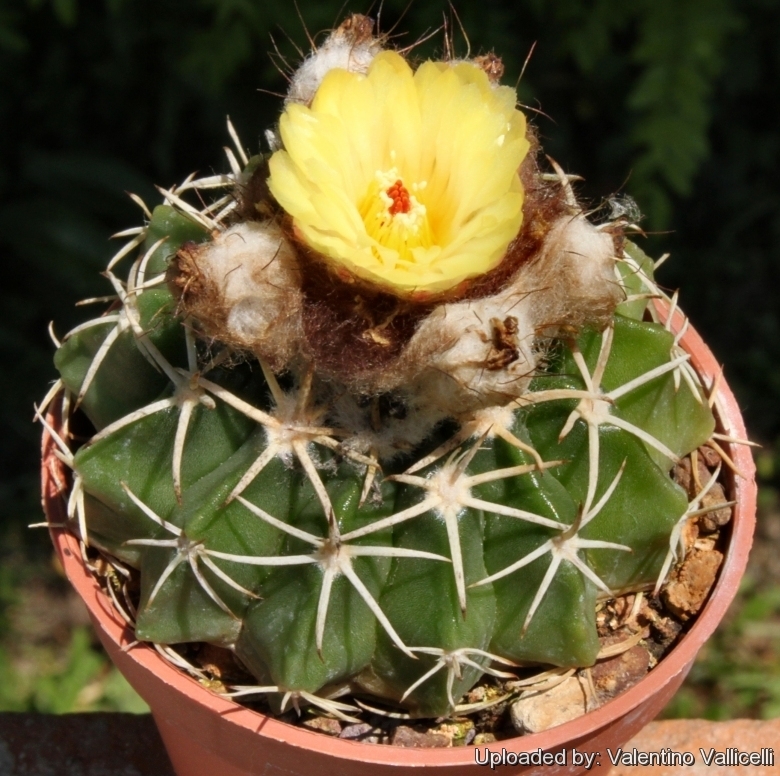 vorwerkiana is an easy to grow tropical cactus that like a warm bright location, but more cold tolerant than most and less fussy regarding soil conditions.